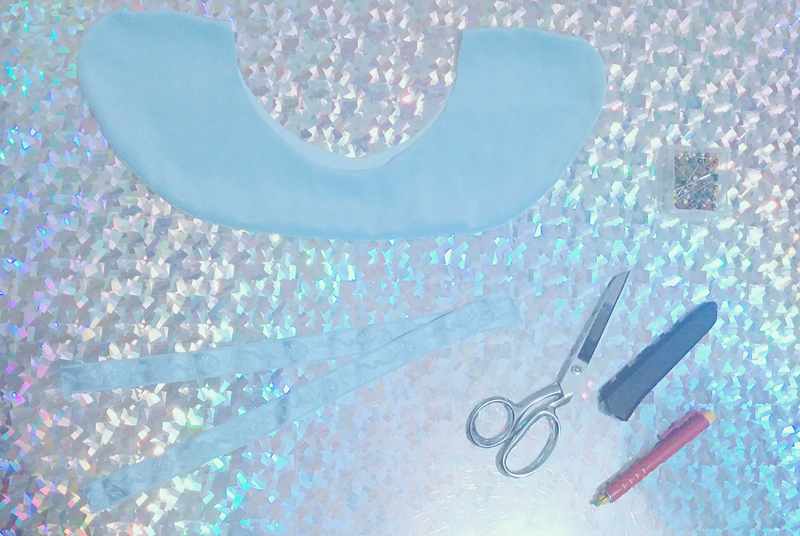 Here's a little sewing project from the other day, a lovely baby blue Peter Pan Collar with ribbon detail. 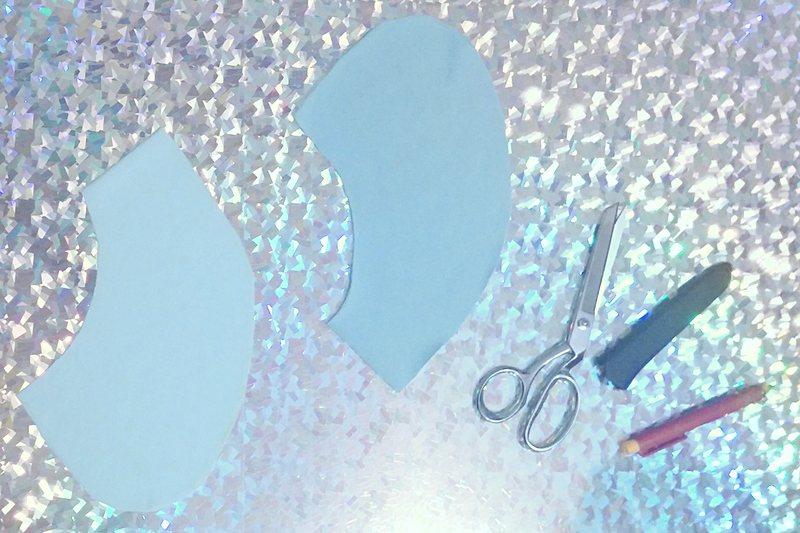 The pattern is based on How To: Detachable Collar with a few alterations to the shape and width. On hand I had some velvety velour, soft lining fabric and decided to leave it as is without interfacing. 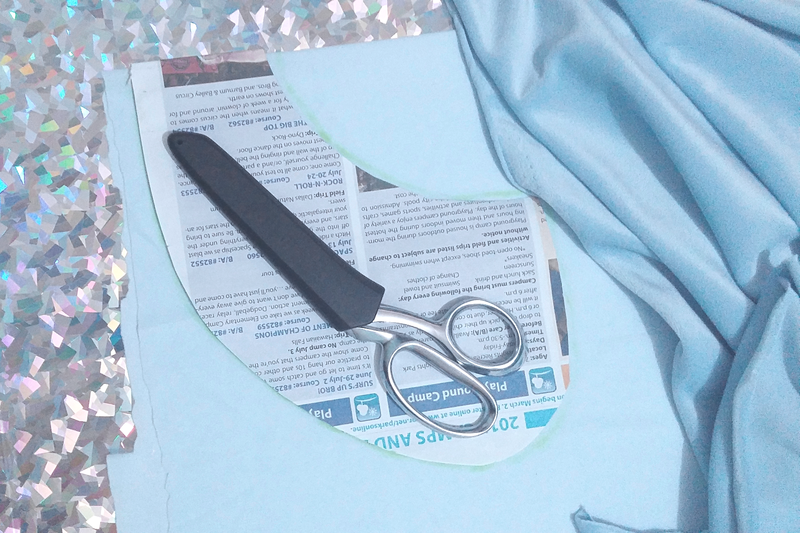 Essentially it was a matter of pining and sewing the two pieces together, then pressing the seams. 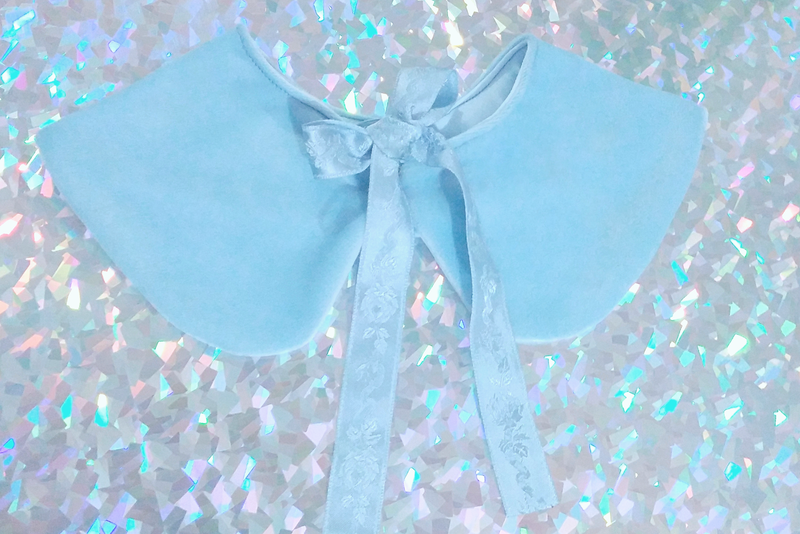 that ribbon makes this collar look so romantic <3 love it! You're so lovley, thank you!! So cute! 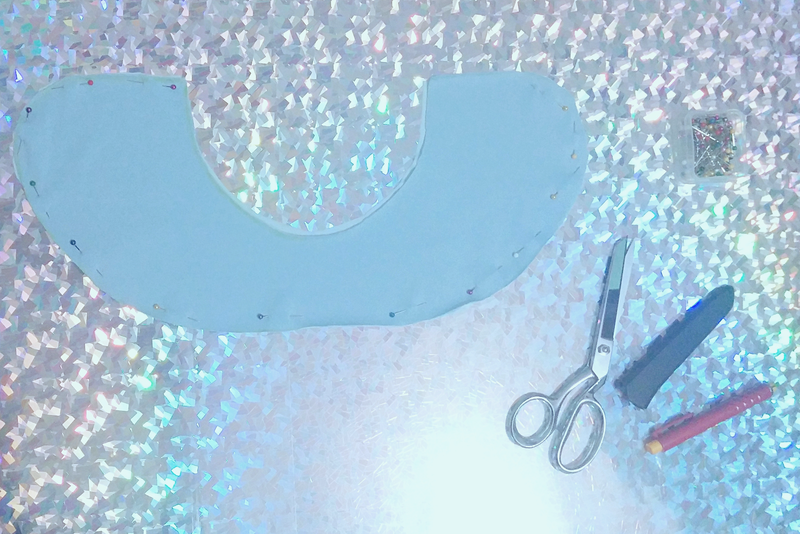 I love making detachable collars too. The fabric you chose is so pretty!